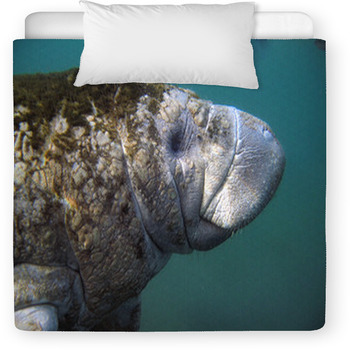 Found in shallow rivers, manatees are bulky animals that are related to elephants. 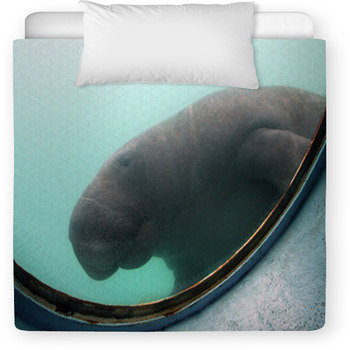 These animals can grow huge, but their innocent looks make them totally adorable and not at all scary to be around. 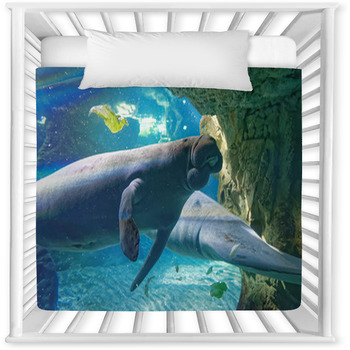 Kids love manatees because of their huggable bodies as seen in our manatee and cow baby bedding. 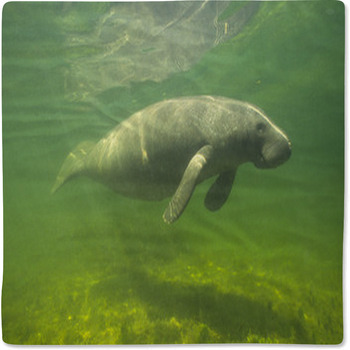 These teddy bear like herbivores spend most of their time in the water, which is the reason their skin turns green. This green color is from the algae that take refuge on their skin because these herbivores remain in water and under the sun most of the day. 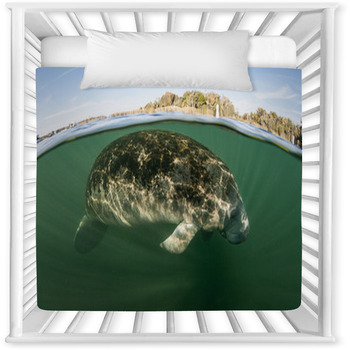 These adorable animals eat grass on the ocean bed as pictured in our manatee baby bedding. 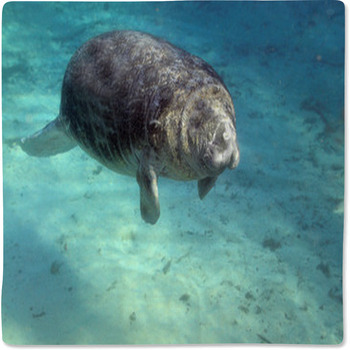 These animals move very slowly, which is the reason they are often spotted by boaters. 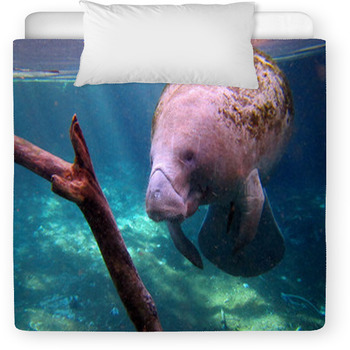 They also have a sweet looking face and even with its stubbly snout, many love to see them. 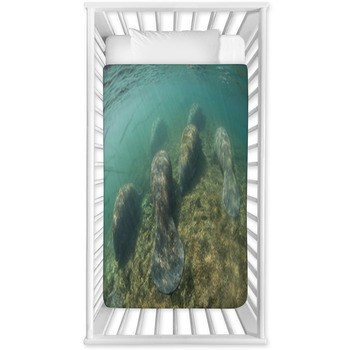 They are also very calm around humans and if you spot them in the river, they will come close to your boat as seen in our scuba diver and dugong contour. 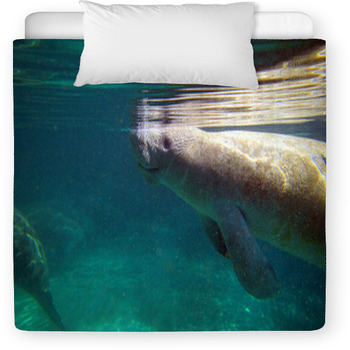 Manatees can spend 20 minutes under water, but they still come out frequently to breathe as pictured in our manatee breathing air baby bedding. 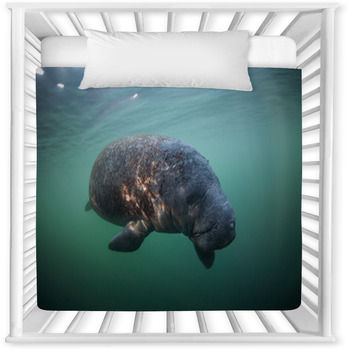 Because of their cute and cuddly looks, manatee baby bedding is perfect for your child’s nursery or bed. 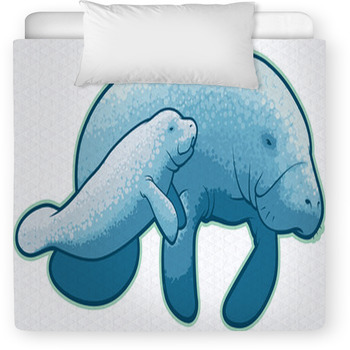 These charming mammals will make your baby’s room look cuter. 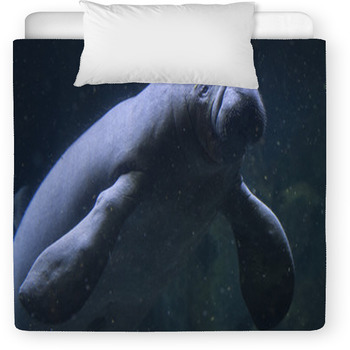 You can also get a customized manatee baby bedding by sending us a picture of your choice.